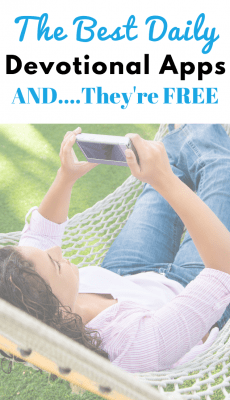 12 Daily Devotional Apps and They're Free! Smartphones and tablets make it so easy to carry God’s Word with you. These convenient electronic devices give you instant access to daily devotionals, Bible studies, Bible verses…you name it! The best part is that all these tools help you grow closer to God. One of my favorite ways to access these tools is by using daily devotional apps. Don’t get me wrong, they don’t replace my Bible. They are just an extra perk to complete my Bible study time. Using a daily Bible devotional app is perfect to use any time of the day. Some people choose to dedicate a specific time in the morning or the evening. Either way, it’s a great tool to get you into God’s Word more often. I personally love using free daily devotional apps. There are a lot of devotional apps available but I find that the free daily devotional apps work just as well. I’m going to do my best at giving a brief explanation of each app. I will also include if it’s a Bible devotional app for your iPhone and/or your Android. Please keep in mind that I have not personally used all of these apps. You will have to use your own discretion if they match up to your Biblical Truth. My goal is to bring you all the best daily devotional apps that are free in one place so you can choose the one that best suits you. The Beth Moore free devotional app features devotionals from Beth herself. Beth is the founder of Living Proof Ministries which is a Bible-based organization for women based in Houston, Texas. 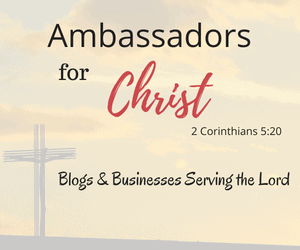 Her ministry focuses on helping women who want to model their lives on Christian principles. This app features Beth’s sermons, TV audio, and radio messages. Download the “Beth Moore devotional app” for free on Android. The Daughters of the King free Bible devotional app is focused on inspiring women around the world. They reached hundreds of thousands of readers through the world daily and have received tons of testimonies about spiritual growth and transformation in the lives of many women. Download the “Daughters of the Kind devotional app” for free on iTunes and Android. The First 5 free devotional app is developed by Proverbs 31 Ministries. They believe in giving the Lord their firsts! We should be giving Him our first thoughts of each day. First 5 was specifically designed to give you short teaching in God’s Word before you get distracted by everything else that demands your attention. It is designed to equip you to study and know the Word of God. Download the “First 5 devotional app” for free on iTunes and Android. The iBelieve free devotional app helps you find the biblical inspiration and encouragement you need at any time of the day. It’s geared towards women who want to grow their faith in Jesus Christ and nourish their relationship. This devotional app is intended to challenge your thinking withthe Bible devotional and articles focused on your needs. Download the “iBelieve devotional app” for free on iTunes. The She Reads Truth free Bible devotional app helps women around the world who are in all different areas of life to connect with God’s Word, anytime and anywhere. It doesn’t matter whether your quiet time comes in the early morning, or at a lunch break, or in the middle of the night—the She Reads Truth app brings your quiet time to you whenever you are ready. Download the “She Reads Truth devotional app” for free on iTunes and Android. The He Reads Truth free Bible devotional app encourages men to read God’s Word daily. It exists to help men be who they were made to be. It features a full-text Bible in multiple translations with the ability to highlight, bookmark, and share. You can take notes as you read and receive customizable notifications to remind you to read Truth at your preferred time of the day. Download the “He Reads Truth devotional app” for free on iTunes and Android. The Man Up free devotional app is a community-based platform. Its purpose is to help you Mobilize the gospel in your life, at your church, and in your ministry. They empower you to follow Jesus in a community. Their goal is to equip you in putting your faith in action and show the love of Jesus to the world. Download the “Man Up God’s Way devotional app” for free on iTunes and Android. Man in the Mirror Devotions for Men is an app that helps you put the tools God gives you into practice. You can access short daily devotionals, Bible readings, and questions that get you thinking with this daily devotional app. This app is aimed at men with busy careers and active families. It’s perfect for fathers, husbands, and grandfathers. Download the “Man in the Mirror devotional app” for free on iTunes and Android. The 5 Love Languages free devotional app helps couples learn their spouses love language. Knowing your spouses love language has helped millions of couples express their feelings and bring joy back into their relationships. This app creates love challenges over a 5 week period to grow your relationship. Download the “5 Love Languages app” for free on iTunes and Android. The Marriage App provides daily tips to help you strengthen your marriage. Features include a story and/or word of encouragement, a Bible verse, and a suggestion for connecting with your spouse. Drs. Paul and Virginia Friesen have more than 30 years of experience in marriage counseling. They provide this practical Biblically based app that can help you have a marriage that you’ve always wanted. The Bible by YOUVERSION free devotional app lets you explore the Bible with your friends. You can share honest conversations about the Bible with a community of people you know and trust. Learn with them as you share what you’re all discovering. Features include 1,000 Bible versions in hundreds of languages. Tons of Reading Plans in over 40 languages. You can also add your own verse images, highlights, bookmarks, and notes. Download the “Bible by YOUVERSION app” for free on iTunes and Android. The Daily Devos free devotional app provides a new devotion for each day. You can be notified whenever a new devotion is published, and even scroll through previous days’. You can mark your favorite devotions and easily share them with others. Download the “Daily Devos app” for free on iTunes and Android. This is my list of the best daily devotional apps. Hopefully, you can find one that works for you. I’m still looking to add to this list of devotional apps. Do you know of any other great daily devotional apps that I can add to this list? If so, please leave me a comment below or contact me. I’d love to hear from you!